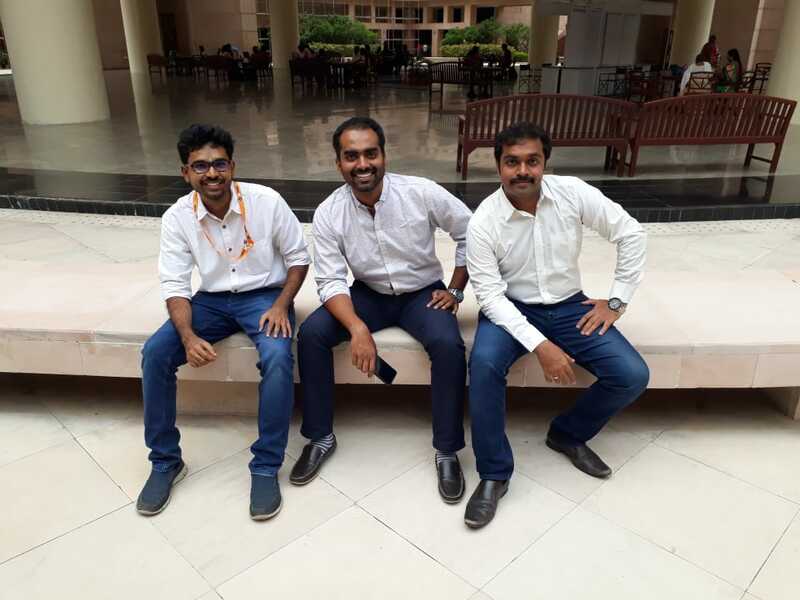 Chennai-based automobile aftermarket platform, GoBumpr, has raised around $600k in Pre-Series A funding led by the existing investors - The Chennai Angels (TCA), Keiretsu Forum and individual investors. The investment round was led by Vinod Kumar Dasari (MD, Ashok Leyland) and saw participation from Shankar V (Director, Acsys Investments), Ramaraj R (Founding Member, Elevar Advisors), Priyamvada Balaji (Wholetime Director, Lucas Indian Service) from TCA to name a few. Ramesh Mangaleswaran (Senior Partner, McKinsey) and Gopal Mahadevan (CFO, Ashok Leyland) have also invested in the company as part of this round. Earlier, GoBumpr raised $420K in Jan 2017 in their first round of investment. Started in Oct 2015 by IIM grads Karthik Venkateswaran, Nandha Kumar Ravi and Sundar Natesan, GoBumpr leverages mobile technology to standardize and automate the ~ 80% unorganized automobile after-sales market ($10bn in annual revenue). Currently, GoBumpr, is India’s largest player in the online automobile services aggregation space in terms of number of workshops getting business via the platform and the number of daily service transactions. GoBumpr currently active in Bangalore and Chennai, does 7000+ B2C transactions monthly servicing INR 3 Crore in billing value. GoBumpr earns commission on the business generated to it’s partner workshops. “GoBumpr has scaled the B2C service business across 2 major metro cities delivering value to both workshops and vehicle owners. Beyond being able to deliver quality business to workshops, GoBumpr’s ability to become an overall technology platform in the automobile aftermarket tapping multiple revenue streams is the key to emerging as winner in this space. Beyond services, extension of GoBumpr’s platform to spares, tyres, accessories, used cars has worked really well for the company and this overall aftermarket tech platform will be a boon to the industry “said Vinod Kumar Dasari (MD, Ashok Leyland) who has invested in the company in both the funding rounds. “GoBumpr, though started as servicing platform, has now evolved into a much bigger play with the extension of their tech interface to tyres, batteries, spares, used cars etc. This allows GoBumpr to be a one stop shop for all of the car owners need and also for the workshop owners to get their inventories in place. GoBumpr’s branding of their premium workshops (similar to OYO rooms) and 100% capacity fulfillment is a game changer for the company” said Mahalingam K (Partner, TSM Group) who has invested in GoBumpr in both the rounds and advises the core team. “We have established presence and scaled GoBumpr services in Bangalore & Chennai in the last 12 months. With our success in these two metros, we are confident of scaling the platform not only to other metros but also to other businesses within the automobile aftermarket. As such automobile is one of the oldest industries and at GoBumpr, we are keen to digitize the after-market space and be India’s most trusted auto commerce solution for consumers” said Karthik Venkateswaran of GoBumpr. Commenting on GoBumpr’s AI powered Smart Service, “We are working on AI enabled platform leveraging data from OBD and existing service records of the car owner to provide tech enabled smart service assistance to car owners. This would significantly disrupt the way vehicle owners and workshops diagnose repairs and handle service” said Nandha Kumar Ravi, who heads the overall operations for GoBumpr. GoBumpr is a 'go-to' pitstop for end-to-end car and bike service needs right from regular servicing, repair jobs, body works – denting, tinkering & painting to 24*7 on-road assistance. GoBumpr.com also provides door-step car wash, engine oil change, tyres and battery replacement services at door step. With over 2.5Lakh+ customers and 2500+ service workshops in their platform, GoBumpr transforms the automobile servicing process into a seamless & hassle-free experience with real-time tracking of vehicle service status till payment and delivery. GoBumpr also provides automated service reminders to vehicle owners. GoBumpr is currently available in Chennai & Bangalore and would soon be available in other metro cities.